NBC News will celebrate the 50th anniversary of its acclaimed newsman Tom Brokaw with a prime time special Sunday. But first, the veteran anchor appeared on “The Tonight Show” Friday to talk about what he has learned from spending five decades behind the camera and at the forefront of history. Host Jimmy Fallon wasted no time getting Browaw’s take on how America is doing in this first week of Donald Trump’s presidency, which has already brought major changes to the country with polarizing executive orders and off-the-cuff Twitter commentary. 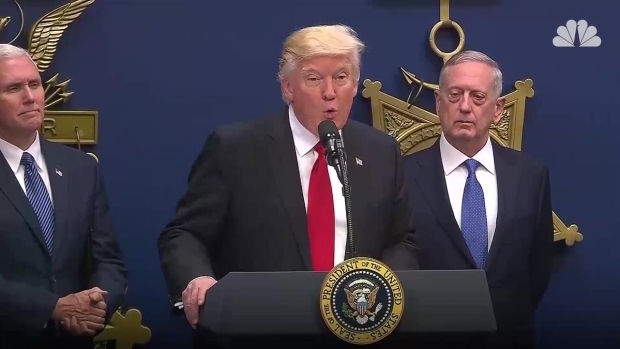 President Donald Trump signed two new executive orders on the Friday of his first week in office, just after he swore in Secretary of Defense James Mattis. One calls for the expansion of American armed forces, while the other calls for "extreme vetting" of immigrants from countries with high rates of terrorism. Brokaw, who Fallon called “one of the most respected journalists,” suggested that Americans need to remember the challenges that come with leading a nation, whether the president is a Republican or a Democrat. Brokaw's journalistic advice comes from a career that began on NBC News in 1966, a time Fallon described as a "bygone era where the news people watched was actually true." A joke it may have been, but the juxtaposition it illustrated calls attention to the fact that Brokaw now reports in a much different era for the media, one filled with "alternative facts." 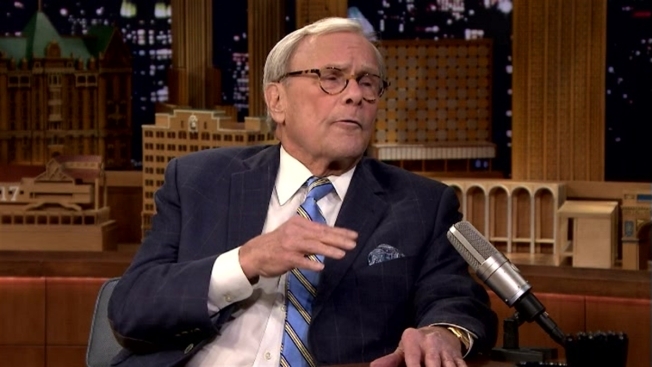 When asked about the "fake news" situation, Brokaw called it "very troubling." He attributed it to the rise of social media and the bombardment of "sophisticated" information. "We don't know where [the information] comes from," Brokaw continued. "There are people out there who are spinning stories. They're trying to get you to believe what they're saying." Brokaw made sure to clarify this happens "on the right, but also on the left." "My advice to consumers: Look at something and apply the same test to it that you would to a flat screen television. Am I gonna buy that one, or this one or that one? See what you can trust after a while. There's a lot of effort going on now, coming in from God knows where, to try to, in effect, really become a saboteur of the truth," Brokaw added. "And that's troubling in a free society." Donald Trump gave his first press conference in six months on Jan. 11. 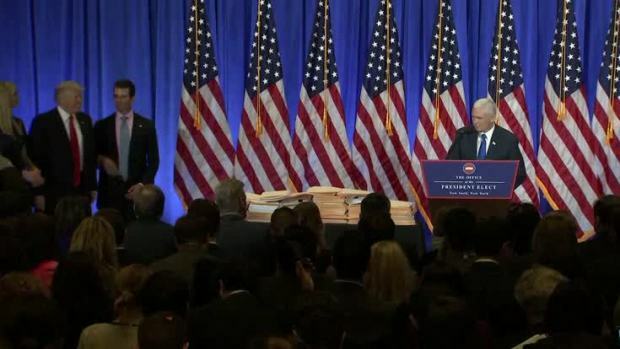 In his prepared remarks before taking reporter questions, he referred a recent report that Russia had compromising information about him, saying the report was false news and never should have been published. Brokaw, now 76, is no stranger to big stories like the ones being reported today; he's covered some of the world’s most crucial turning points: the Watergate scandal, the dissolution of the Soviet Union, the fall of the Berlin Wall and the tragedy that was 9/11. Through it all, he said, he has learned that the world is constantly in motion. “It’s very exciting to watch,” Brokaw said. “Here’s to common ground,” Fallon replied.